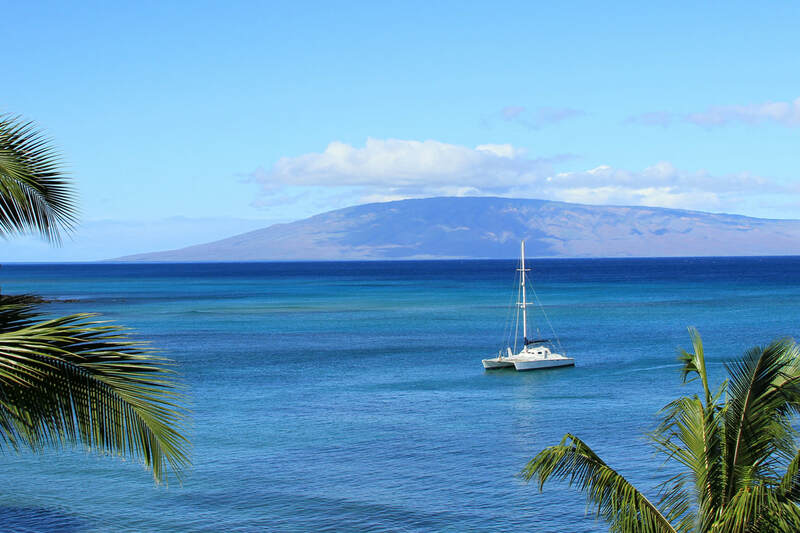 Named after the island of Maui, hailed for its emerald green mountains and lush valleys, this Maui vacation rental is located just seven miles north of the old whaling capital of Lahaina in West Maui. Ideal for both single travelers and families, the Valley Isle boasts spacious oceanfront studios as well as ocean view and oceanfront one and two bedroom condominiums. Set on quiet, picturesque Kahana Beach, you can unwind as you swim in the warm ocean, stroll along the beach at sunset or even make a wish to return at the sculptured whale fountain in the main lobby. Enjoy the comfort of grilling by the courtyard pool and convenience of walking to dining, shopping, activities and beach rentals at the nearby Kahana Gateway Center. Access to the premiere golf courses of Kapalua and Kaanapali are only minutes away while world-class snorkeling is just out your front door. No wonder it is our most requested property of all. Hawaiian Style ocean front studio on the ground floor on the beach in Kahana. This condo offers easy access to the beach and pool. The bathroom features a shower and tub combo with a grab-bar for added safety. An answering machine takes you calls while you are away. Keep your valuables secure in the in-room safe. Ocean front condo on the beach in Kahana. Bring your DVD's from home and watch them on the 27" LCD TV. The alarm clock provided ensures you will be on time for all of your early morning activities. Bring your laptop and enjoy free Wi-Fi internet access. Ocean front condo on the beach in Kahana. In July '12 new paint, carpet and new upholstery for sofa were added. Enjoy your evenings watching Blu-Ray discs and bring your CD's from home and listen on the player provided. Allow the answering machine to take your calls while you are out enjoying Maui. The bathroom features a walk-in shower-no tub. Access the condos free Wi-Fi signal from the lanai while watching whales. This condo has tile throughout and is great for a couple or family of three. A flat screen TV has been added for improved evening entertainment enjoyment. Tub and shower combo features a grab-bar for added safety. An answering machine takes your calls while you are out having fun on Maui. The condo has free DSL internet access, in-room safe and free parking. Ocean front condo on the beach in Kahana. 2 guests maximum please. Bring your CD's from home and listen on the player provided. Bring your laptop and enjoy free cable or wireless high speed internet access.Allow the answering machine to take your calls while you are out enjoying Maui. An in-room safe keeps your valuables secure. Spacious ocean front studio on the beach in Kahana. Enjoy the convenience of a fully equipped kitchen as well as all the comforts and conveniences of home. Wake up to the sound of the ocean waves & enjoy your morning beverage while taking in the breathtaking views of our neighboring islands, Molokai and Lanai. Bring your laptop and enjoy free Wi-Fi internet access.